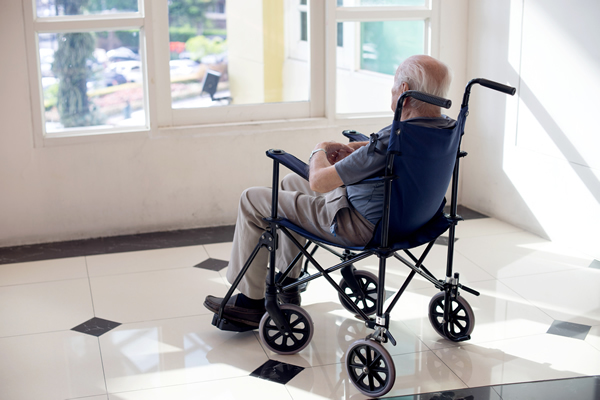 LGBT seniors are twice as likely to live alone. Gay men of a certain age, of a certain generation, are faced with the duel problems of not having children to look after them and are less likely to have a partner to grow old with. No one really knows how long he’d been dead, two weeks maybe. Several days at least. Alan lived on 16th Street, only a block from Cobalt, the heart of what many consider the center of gay life in the District, in a fashionable several-story gothic building that many still refer to as the ‘gay dorm.’ Alan himself was described as a fixture in the neighborhood. So how did he come to die alone in his apartment? David Mariner, head of the DC Center, the District’s LGBT community center, knew Alan. He referred to him as a member of the ‘greatest generation’ of gay men — those that fought back at Stonewall, went to the first marches, the first ACT UP protests, organized the first Pride celebrations, stood vigil over the quilt. Sadder still, Alan, during the worst days of the AIDS crisis, was known to care for dying friends when their families wouldn’t, even arranging funerals and burials when no one else came forward. Mariner described to me the very real problem of social isolation. For seniors, as you grow old, you are more likely to be alone, more likely to fall into isolation. This obviously carries with it depression and deterioration of mental and physical health. But for older gay men, men like Alan, it’s far more precarious. LGBT seniors are twice as likely to live alone. Gay men of a certain age, of a certain generation, are faced with the duel problems of not having children to look after them and are less likely to have a partner to grow old with. This was Alan. One such service the city provides aging populations is the congregate meal program. In short, meals are served at various locations for seniors throughout the week. These do more than just meet their nutritional needs, it gives seniors a place to go, programming, and the opportunity to be missed. If anyone misses a meal, a social worker follows up with them. I could provide more details, but the map showing the locations of congregate meals in the District, provided by the DC Office on Aging website, has been down for some time. Washington does offer culturally specific programming when it comes to providing these meals, having them at the Chinatown Community Cultural Center or one of the city’s centers serving Hispanic seniors. No such services are offered for the city’s LGBT seniors, although advocates for LGBT seniors have been pressing for this for years. The city’s website does offer an LGBT-specific page, but three of the organizations it points people to no longer exist. Additionally, the address provided for the DC Center is three years out of date. “We have nothing against bingo. . .” the cheery, upbeat voice on the other end of the line told me. Chicago’s LGBT center, simply known as the Center on Halstead, very much wants to be the template for all things gay and senior for the rest of country, and seem well on their way to achieving that. On top of dozens of programs and activities for the community, its services for seniors leave little to be desired. Beside meals, where you might be treated to a drag show, there are classes, health screenings, yoga, organized nights out on the town to reconnect with spaces and faces, and a whole host of other programs. You’d be hard pressed to find a bingo card anywhere. I was told that Alan had no funeral. His family from back home held no service in Washington. They simply didn’t think anyone would come. Whatever the circumstances of his death, the city and gay community certainly failed him. Would he have benefited from congregate meals and programs like it? Maybe. But we have to ask ourselves: Was there something else we could have done? He probably did too much G.